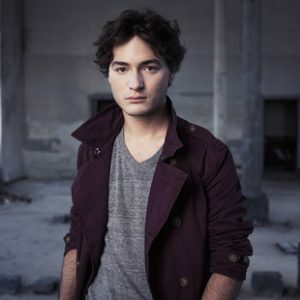 French pianist Thomas Enhco (27) is more than what you might call multi-talented. He plays jazz and classical music, composes, writes film music, teaches workshops and would like to play with large symphonic orchestras on a more regular basis (the first concerts have already been planned). If I were asked to describe him on the basis of his music, I would describe him as a romantic. A man capable of intense emotions, with a great sense of beauty and a yearning for harmony. Someone who has a mild sense of humour, is intelligent, and sets his sights high. Would I describe him as adventurous? Original and unique, that’s for sure. He plays what he wants to play – it can be a classical composition one minute and jazz the next. His jazz version of Schumann’s ´Träumerei´ on the cd Fireflies merges his musical styles. I met with Enhco in the Belgium town of Poperinge, where he was performing during a three-day piano festival. Enhco is a fairly well-known celebrity in France and, thanks to an enthusiastic producer at Sony, he is also quite famous in Japan; but the great awakening is yet to take place elsewhere. He performed in my home country, the Netherlands, for the first time in 2015, with his trio at the North Sea Jazz festival. A critic referred to this performance as the absolute highlight of the evening and “the birth of a new jazz hero”. Our appointment had been made a couple of weeks before, when Enhco performed at the screening of the movie Ascenseur pour l’échafaud (1958) by director Louis Malle (with the famous film score by Miles Davis). In our conversation at the time, he casually mentioned that Louis Malle had been the husband of his great-grandmother´s best friend. It turns out that his great-grandmother was in fact actress Gisèle Casadesus (101 years old), mother of the famous conductor Jean Claude Casadesus and grandmother of soprano Caroline Casadesus, Thomas Enhco’s mother. Thomas’ and his brother David’s (a trumpet player) introduction to jazz happened after his parents divorced and his mother married French jazz violinist Didier Lockwood. When Lockwood set up a jazz school with Belgian drummer André Charlier, Thomas, David, and Charlier’s son Nicolas (the current drummer of the Thomas Enhco trio) were among the first children to attend the school. He certainly achieved his goal during his performance in Poperinge. The audience seemed hesitant at first – it was probably the first time many of them had heard Thomas Enhco play – but he quickly managed to engage them in the journey. When the last frail notes of ‘You’re just a ghost‘ faded, the room remained silent for a minute before bursting into loud and enthusiastic applause. The audience loved it. A solo performance by Thomas Enhco is an experience. It’s enjoyable to watch him raise to the challenge of utilising the piano’s full range, and his right and left hands frequently cross one another so as to get the most out of the grand piano. His music is full, but he isn’t afraid of silence either. Loud and soft, louder and then softer, delicate, intimate touches followed by grand gestures and musical force. But always to the tune of the story he wants to share. And always beautiful, even when he hammers the keys with both hands and you feel the audience surge with emotion. He alternates between his own compositions, such as the melancholy ´Letting you go´ and the energetic and exuberant ´Looking for the moose´, with standards like ´It ain’t necessarily so´, ´All the things you are´ and as an encore, a combination of ´Autumn Leaves´ and ´Summertime´. Enhco’s career has gained momentum in the past five years, in which he’s won important prizes in France and has toured Japan a handful of times by courtesy of Sony producer Itoh Yasohachi. Itoh Yasohachi also arranged that Enhco made recordings with Jack Dejohnette and John Patitucci in New York in 2012, where he would stay on to live for two years. 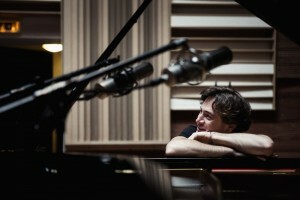 Enhco produced his third trio-CD Fireflies (2012) himself, winning a French Grammy, Les Victoires de la Musique. He signed a contract with Universal Music shortly after. After three years of experiencing the joys and sorrows of New York, Enhco returned to Paris. He incorporated his experiences in the beautiful solo CD Feathers, which he released in 2015 with Universal subsidiary Verve. “It’s good to live in Paris again, although I’m having difficulty finding my feet,” he says at the end of our conversation. “Until now I’ve mostly been travelling. I don’t have time to practice even though it’s something I know I really need. And I don’t only look to music for inspiration, but also to the experiences in my own life. That is why it’s time for me to start to build up my life here.” He yawns. “Solo concerts are tiring,” he apologizes. “I often feel fantastic when playing, but afterwards all the energy is gone.” Time to conclude the interview.